This is a contemporary take on a very traditional piece and in true Philipp Selva style, has been designed with every attention to detail using the fine skills of true Italian artisans. The red alder veneered in a rich, deep cherry creates a wonderful platform to display your treasured items to their best effect, with interior lighting to enhance this. 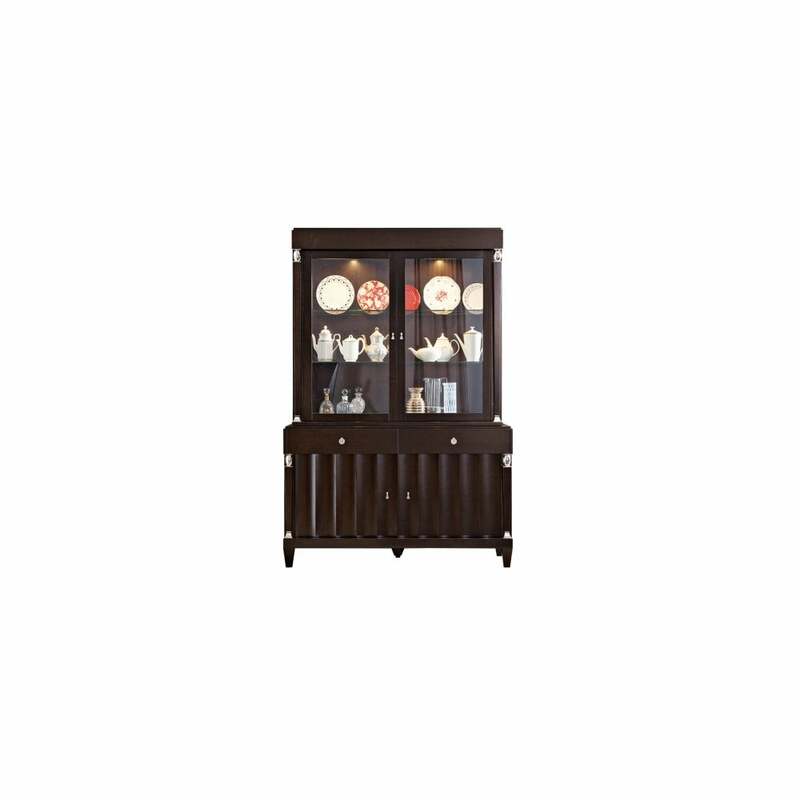 The upper section is fronted by 2 glass doors with 2 adjustable glass shelves inside, the sides are also glazed, you have ample room to house your cherished items, on view, in their best light from all angles. The lower section of the cabinet has 2 drawers with self-closing motion and a substantial 2 door cupboard with an adjustable wooden shelf. The wave form front is an eye catching design feature, drawing your attention to the play of light and shadow, complimented further by the bright, glossy chrome decorative accessories. A two-tone finish is possible for a unique, bespoke look, the main finish being on the body, drawers and columns, the contrasting finish on the doors and back wall of the upper section.